20 øre cover canc. 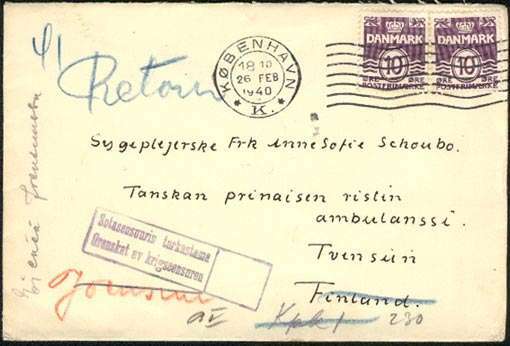 København (26.2.1940) to nurse in the Danish Red Cross Ambulance (Tanskan Punaisen Ristin Ambulanssi) in Joensuu, forwarded to KpK 1 and later returned to Denmark. Opened by censor in Finland and Germany. Danish Volunteers in the Winter War. In Denmark there was widespread support for the Finns throughout the Winter War. 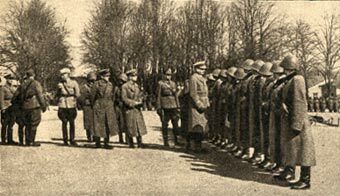 Many Danes sought to travel to Finland in order to join the Finnish forces but the Danish Government was unco-operative. However, a Danish businessman agreed to pay from his own resources the cost of raising a Danish volunteer unit and sending it to Finland. A recruitment office was opened in Østerbro and a force of 1200 men was quickly enlisted. The volunteers were sent to Finland in small groups, travelling across Sweden to Haparanda on the Swedish/Finnish frontier and then on to a reception camp at Oulu (Uleåborg). By the end of January 1940 there were some 400 Danish volunteers in the camp and by end of February 1940 all 1200 men had arrived. The force was known as "Dansk Finlands Korps" (DFK) i.e. the Danish Finland Corps. In early March 1940 orders were given to move the unit to the south coast port of Hanko (Hangö). However, before this could be arranged the armistice came into operation and the Winter War ended. In the following weeks the DFK was disbanded and about half of the volunteers returned home to Denmark. 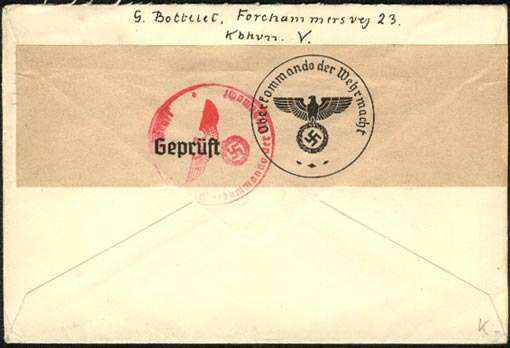 At first the Danish volunteers used the postal address: Os. Franck [= Task Unit Franck after the head of the Finnish Liaison Staff, Major Franck] KpK 25, Finland. [KpK 25 = Tornio], later the Danes got the four-figure unit code 4935 at KpK 10 in Oulu. During the "interim Peace" in the period between the Winter and Continuation Wars, the 600 or so Danes that remained in Finland were formed by the Finnish Army into the "Dansk Finlands Battaillon" (DFB) i.e. the Danish Finland Battalion. In March 1940 they were transferred from Oulu to the town of Lovisa on the south coast 70 km east of Helsinki and fairly near the new frontier with the Soviet Union. Here the Danes were employed on guard and patrol duty. When on 9th April 1940 Denmark was invaded by Germany most of the volunteers took the opportunity to return home and the battalion was disbanded. DFB used the local civilian post office in Lovisa. 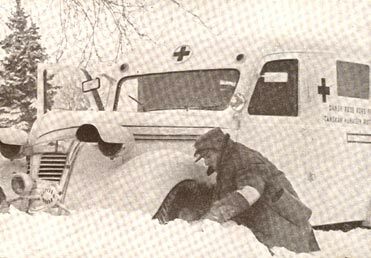 On the outbreak of the Winter war the Danish Red Cross decided to send help to Finland. A public appeal for funds was made and enough money was quickly raised to equip and despatch a mobile field hospital for 100 wounded together with supporting medical team and ambulance unit totalling about 100 Danes. They arrived in Rovaniemi in Finnish Lapland in late December 1939 and commenced work immediately. The unit was later transferred to North Karelia and based in Joensuu from January to mid-February 1940. Later it moved to Lathi where it remained until the armistice in mid-March. It returned home and was disbanded in Copenhagen on 21st April 1940. The Danish Ambulance unit used the field post code 7894 at KpK 14, but also the Finnish name: "Tanskalainen Ambulanssi" or "Tanskan Punaisen Ristin Ambulanssi" i.e. "Danish Ambulance" or "Danish Red Cross Ambulance".